"The western gateway to New York State"
The area was first settled around 1815 by Alexander Findley, who built the first mills. The town of Mina was formed in 1824 from a partition of the town of Clymer. In 1832, part of the town was used to form the town of Sherman. In 1915, the population of Mina was 1,021. According to the United States Census Bureau, the town has a total area of 36.3 square miles (94.1 km2), of which 35.8 square miles (92.8 km2) is land and 0.50 square miles (1.3 km2), or 1.41%, is water. Interstate 86 passes through the north part of the town, with access from Exit 4. New York State Route 426 and New York State Route 430 intersect at Findley Lake. 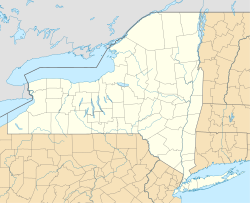 Mina is bordered by the townships of North East and Greenfield in Erie County, Pennsylvania, at its western town line. The town of Ripley is to the north, and the town of French Creek is to the south. The town of Sherman is to the east. As of the census of 2000, there were 1,176 people, 456 households, and 336 families residing in the town. The population density was 32.8 people per square mile (12.7/km²). There were 750 housing units at an average density of 20.9 per square mile (8.1/km²). The racial makeup of the town was 98.1% White, 0.3% African American, 0.3% Native American, 0.2% Asian, 0.3% from other races, and 0.9% from two or more races. Hispanic or Latino of any race were 0.9% of the population. There were 456 households out of which 28.3% had children under the age of 18 living with them, 64.7% were married couples living together, 3.5% had a female householder with no husband present, and 26.3% were non-families. 23.7% of all households were made up of individuals and 10.1% had someone living alone who was 65 years of age or older. The average household size was 2.58 and the average family size was 2.99. In the town, the population was spread out with 24.7% under the age of 18, 6.0% from 18 to 24, 28.1% from 25 to 44, 26.4% from 45 to 64, and 14.6% who were 65 years of age or older. The median age was 40 years. For every 100 females, there were 100.7 males. For every 100 females age 18 and over, there were 103.0 males. The median income for a household in the town was $40,139, and the median income for a family was $45,074. Males had a median income of $32,391 versus $22,404 for females. The per capita income for the town was $18,240. About 6.8% of families and 9.3% of the population were below the poverty line, including 15.4% of those under age 18 and 7.3% of those age 65 or over. Findley Lake – A lake in the southwest part of the town. Water from the lake drains to the north into the West Branch of French Creek, part of the Allegheny River watershed. Findley Lake – A hamlet named after the lake and the location of many summer homes. The village is at the north end of the lake by the junction of NY-426 and NY-430. Marks Corners – A location in the southeast corner of the town. Mina – The hamlet of Mina, located on NY Route 430 in the eastern part of the town. ^ a b "Geographic Identifiers: 2010 Demographic Profile Data (G001): Mina town, Chautauqua County, New York". U.S. Census Bureau, American Factfinder. Retrieved November 6, 2014. This page was last edited on 18 July 2018, at 20:53 (UTC).